Florian Hoffmeister BSC makes cramped confines work to deliver a richly detailed, hallucinatory experience from the terrors of a ship to the sprawling, icy landscapes of the Arctic. 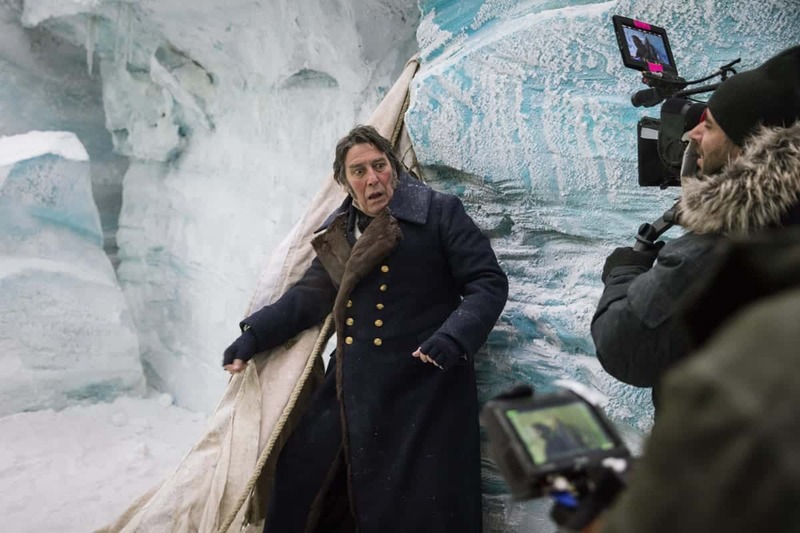 The tradition of the handsome, impeccably cast period drama gets a horror makeover in the new AMC series that adapts from Dan Simmons’ celebrated novel of the same name to create an immersive world for the Arctic nightmare. Produced by Ridley Scott and inspired by the true-life tale of the H.M.S. Erebus and H.M.S. 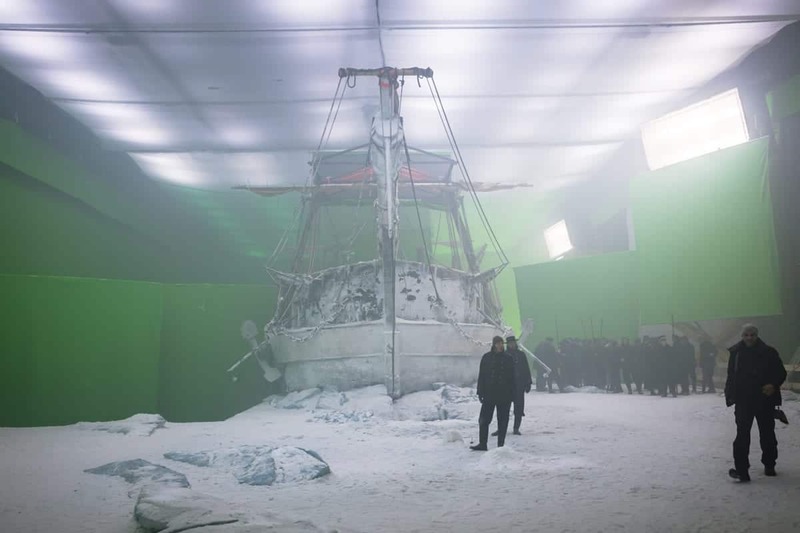 Terror, which famously disappeared in the ice on a mission to discover the fabled Northwest Passage almost two centuries ago (the ships were only found in 2014), The Terror sketches out the fantasy-horror version of a nautical journey gone wrong in gorgeous, excruciating detail. From the ravages of nature constantly biting at the men’s heels to the bitter dynamics between the crew that sow the seeds of their own downfall, cinematographer Florian Hoffmeister, BSC was given the time to create a unique look that details the torment as it unfolds. Having shot prestige dramas like The Deep Blue Sea and Great Expectations (both 2011), Hoffmeister says he was attracted to this project because the producers wanted a unique look. 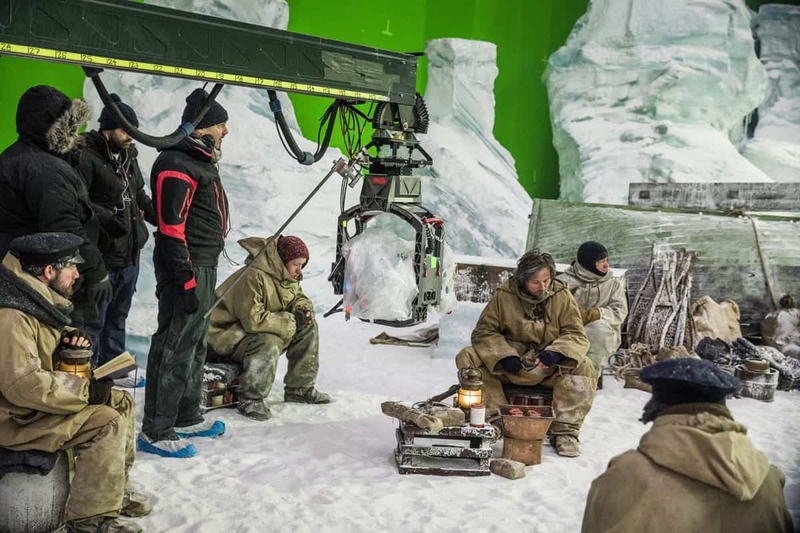 The Terror was shot almost entirely at Stern Studios near Budapest, which was the only soundstage available in the crowded city at the time. 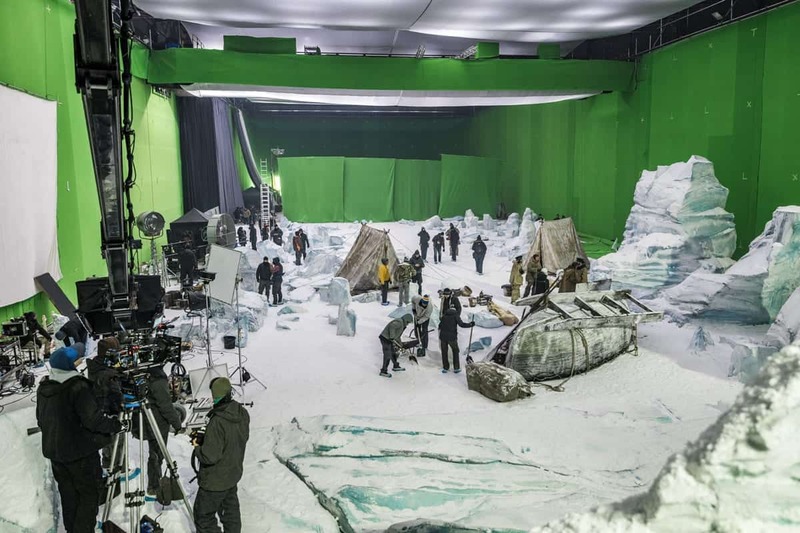 Even using two greenscreen stages of 23,700 by 16,150 square feet, the space was barely big enough to fit the construction of the main set. Striving for authenticity, the production had effectively reconstructed the ships to their original specifications. 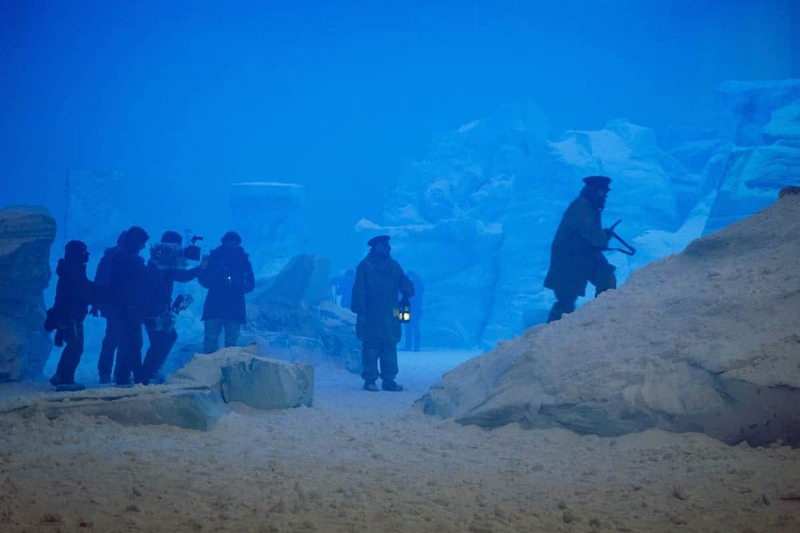 The vessels were built by production designer Jonathan McKinstry to the same basic template mounted on an 8-foot-high gimbal with the top deck designed to be changed so that the full set could become either the Terror or the Erebus. His camera choice was RED DRAGON 35mm sensor capable of 6K. Since AMC required an HD 16:9 finish, shooting 6K was not high on their list of priorities but Hoffmeister convinced them otherwise. 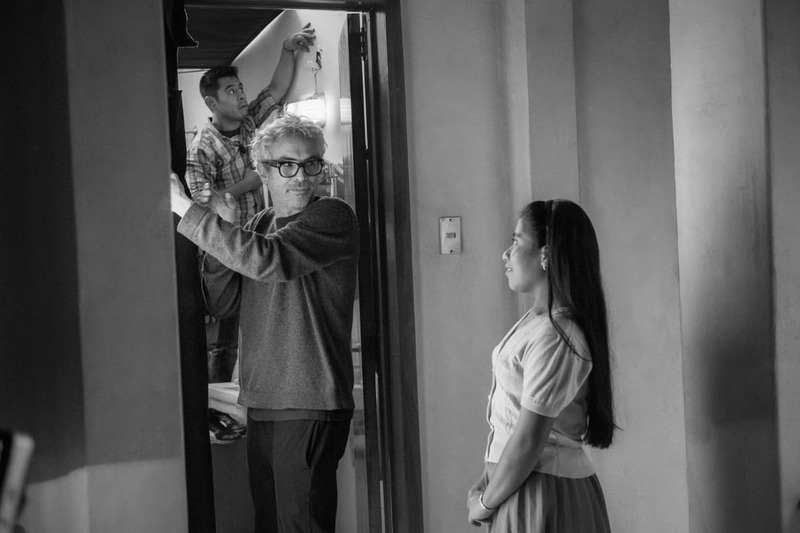 Director Edward Berger agreed with Hoffmeister that the show be framed for composition using dolly moves and Steadicam for both cameras. 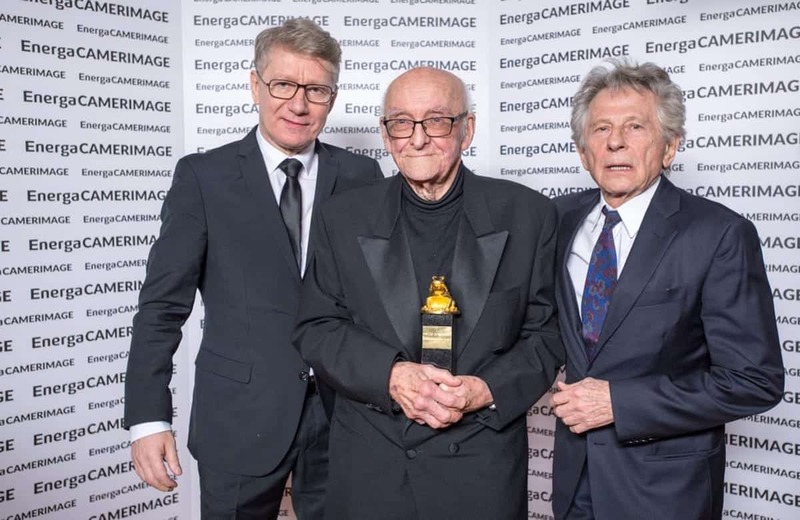 “I find that if you operate a large sensor camera handheld the movement quickly gets super frenetic,” he says. One of the advantages of locating the show in Budapest is access to Colorfront, the facility with a heritage of negative processing and the inventor of the Lustre (Colossus) digital grading tool. 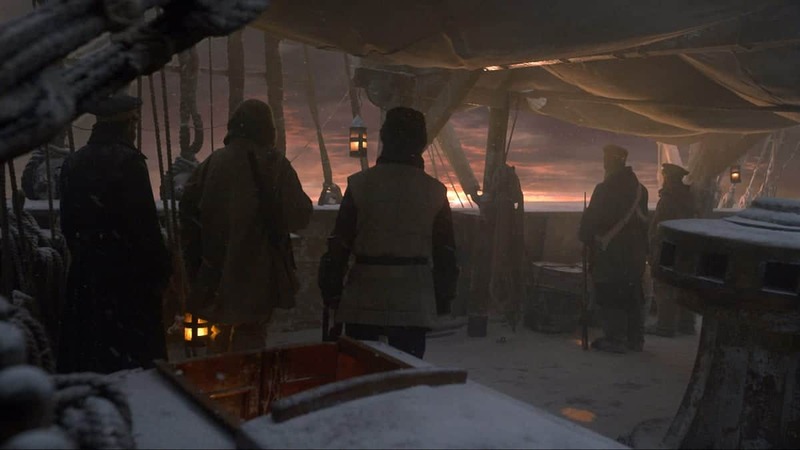 Working with Colorfront, the cinematographer tested the RED cameras against wind, snow, fog and other special effects, in each case lighting for dramatic atmospheres and learning how to create silhouettes. “It was very beautiful and rewarding,” he says. 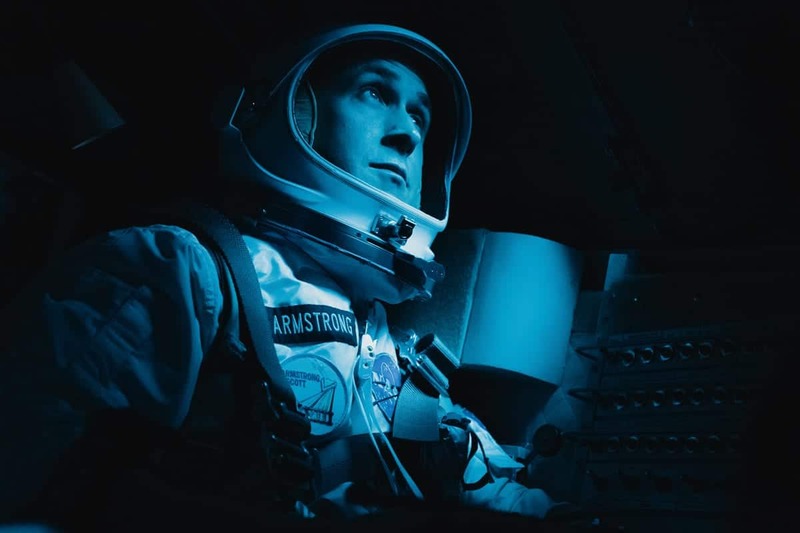 Meanwhile, VFX studio UPP in Prague gave Hoffmeister the creative freedom to set the tone for matching backgrounds and adding set extensions. "People said we were insane to build [the set] inside but in honesty the stage gave us a chance to shape the show to a more dramatic extent." The team created LUTs with the bleach bypass built in and calibrated all the monitors on set and in post. Hoffmeister lit to that for the pilot and episodes two and four while cinematographers Frank van den Eeden and Kolja Brandt followed his cue in shooting the remaining seven episodes. The cinematography creates contrasting settings of flickering, lamplit darkness and blinding white vistas of endless snow, neither of which offer any comfort to man from the cruelties of nature. The editorial tone is one of bleak, piercing panic and the threat of something incomprehensibly dreadful just beyond the veil of reality. Aside from some exteriors on location in Croatia, the only dramatic element shot out outside was a 40-metre-high section of mast.